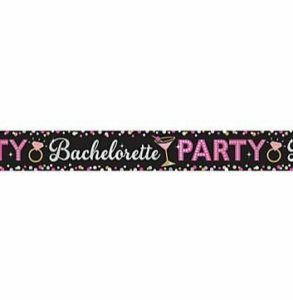 If you’re having a destination bachelorette party and staying in a hotel or vacation rental, decorating for the event may seem like a daunting task. Transporting the decorations, getting everything set up, and (especially) the clean up doesn’t sound like much fun. But decorations are key to setting the party mood. So, I have 6 easy ways to decorate a hotel room or vacation rental that will keep your luggage light and your mood light as well. Balloons are definitely light and easy to transport, before they’re inflated of course. 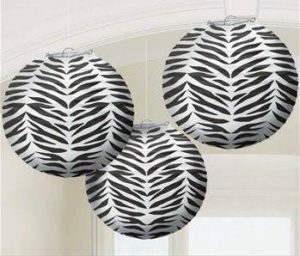 There are no limits to how you can use balloons to decorate. 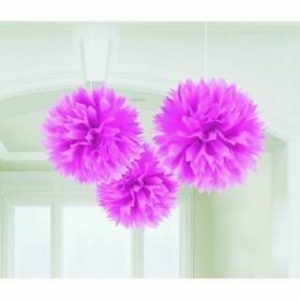 Whether there are a few strategically placed around the room(s) or dozens covering the floor, balloons are an easy way to create a party atmosphere. 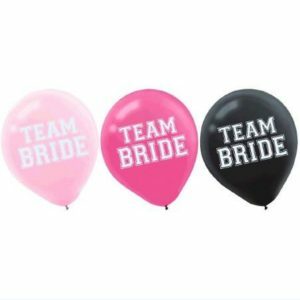 Shop our balloons to find the perfect ones for your party, whether you want solid colors, Team Bride, or a Naughty variety. Garland and Banners are another lightweight decoration that will instantly add flair to the room(s). No imagination necessary, though there is plenty of room to add your creativity; simply unwrap and hang! 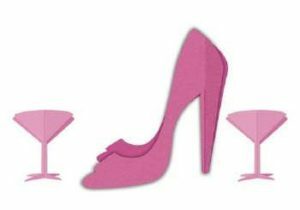 We have a large variety, from Diamond Rings to High Heels and Martinis to Naughty. Shop our selection of Garland and Banners. One of my favorite, hanging tissue decorations can add a finishing touch or really fill a space! 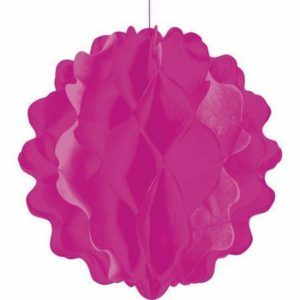 Easy to use and lightweight, these decorations can transform a room from OK to “Let’s Par-tay”! See our great selection of Tissue Decorations. If you have a table in your space, a Centerpiece can be just what you need to highlight an area, whether it’s for food, drinks, or gifts. Check out our great selection, including the one below. No, I haven’t gone off topic. Another easy way to decorate a room and have a fun party is to set up a party game (or two) in your space. It will add to the decor AND serve a dual purpose by giving you something fun to play either before heading out or while out on the town! 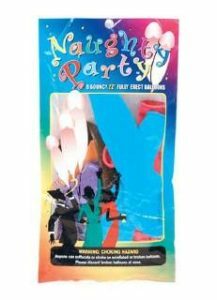 Choose one of our top Party Games like the one below. The sky’s the limit when it comes to accessories! AND they can serve as an easy decoration before handing them out to party guests and dressing up the bride-to-be. Another 2-for-1! We LOVE it when something can serve a dual purpose and be easy to set up/clean up. 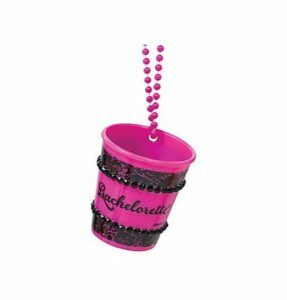 Our favorites include Light-up Rings, Shot Glasses, and Sashes. 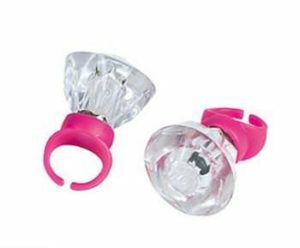 Shop our variety of Party Attire and Light Up Accessories. All of the above items are fabulous, fun, and easy ways to decorate a hotel room or vacation rental. 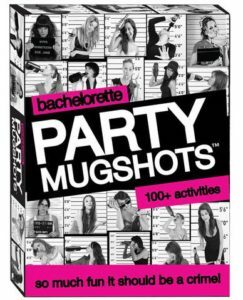 So, whether you’re staying close to home or traveling far away, you can create a fabulous and unforgettable bachelorette party! *BONUS: Save yourself some stress and room in your suitcase. Have your purchase shipped directly to your hotel or vacation rental. *Just check with us to be sure we can ship to your destination. 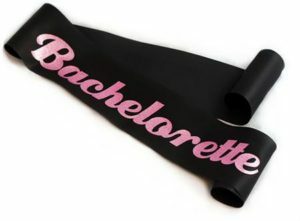 This entry was posted in Bachelorette Decorations, Bachelorette favors, Bachelorette Games, Bachelorette Party, Bachelorette Party Accessories, Bachelorette Party Favors, bachelorette party games, Bachelorette Party Planning, Bachelorette Party Supplies, Destination Bachelorette Party, Party Planning on March 11, 2017 by Tiffany Freitag.